The first Sunday Night Football game of the season is finally here! 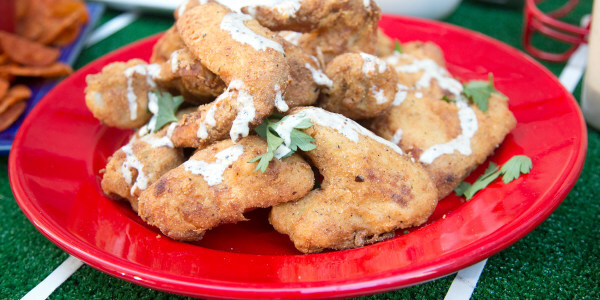 We're gearing up for game day with the second installment of our TODAY Food Loves Football series. Chef Matt Abdoo is joining us to cook up hometown recipes from New York City and Dallas, Texas. 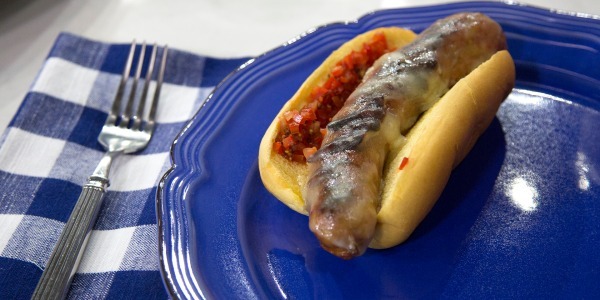 To represent the Giants, Abdoo is making fresh baked soft pretzels with spicy beer mustard dipping sauce, plus sweet Italian sausage sandwiches with peppers, onions and provolone cheese. For the Cowboys he's whipping up Fritos pie with meaty chili and all the fixings and brisket tacos with crumbled cheese, salsa verde and pickled red onions. 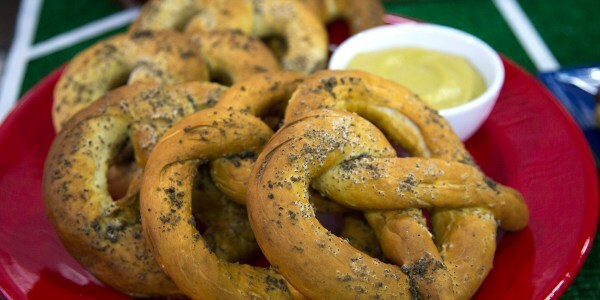 Soft baked pretzels are delicious and great to eat year-round. They are also perfect for dunking in dips, cheese sauce and especially mustard. This recipe reminds me of my childhood home in Utica, New York. When I was growing up, sausage and peppers was one of my favorite meals. 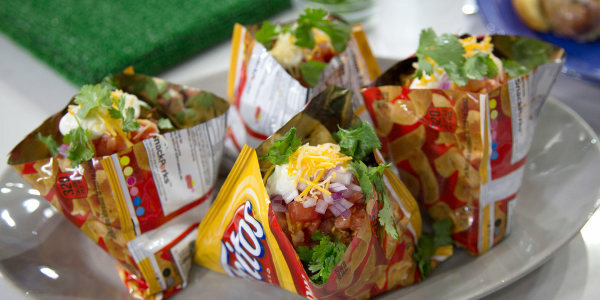 The only way to make chili even better is to serve it in individual bags of corn chips! The best part? No plates to clean afterwards! 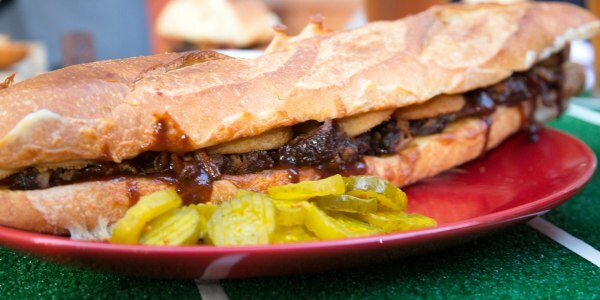 The spice of the fresh salsa verde pairs perfectly with the meaty richness of the brisket in this recipe. 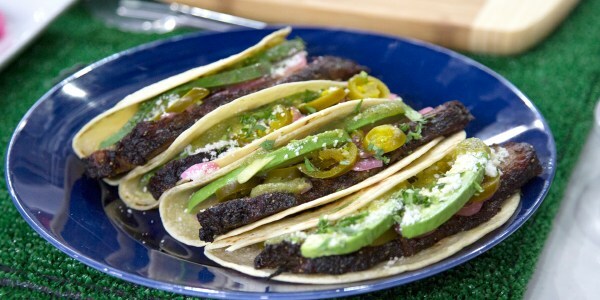 The piquant pickled onions and salty cheese round out the complementary flavors in these incredible tacos.